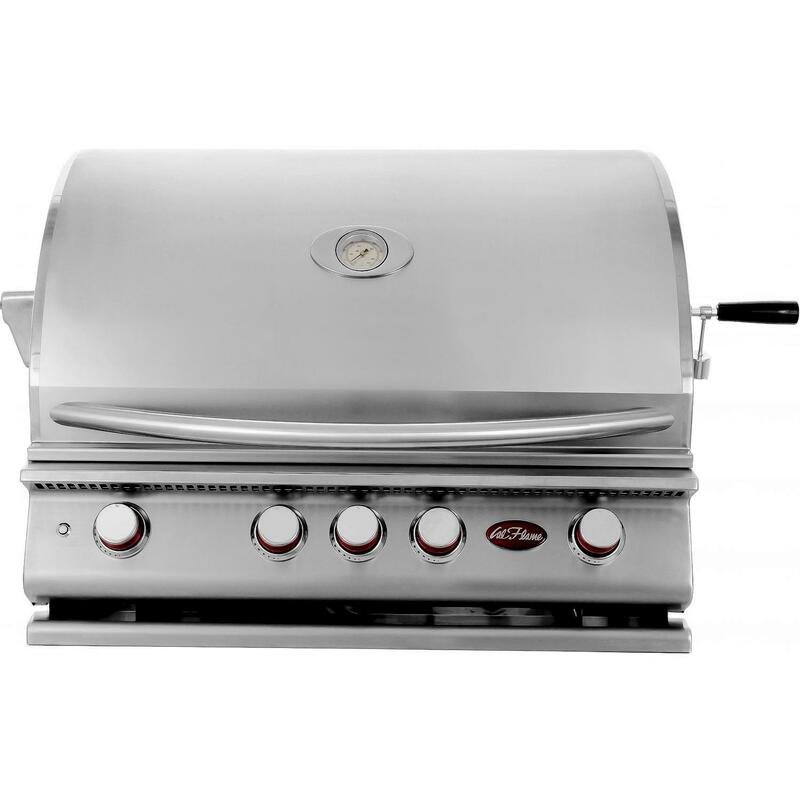 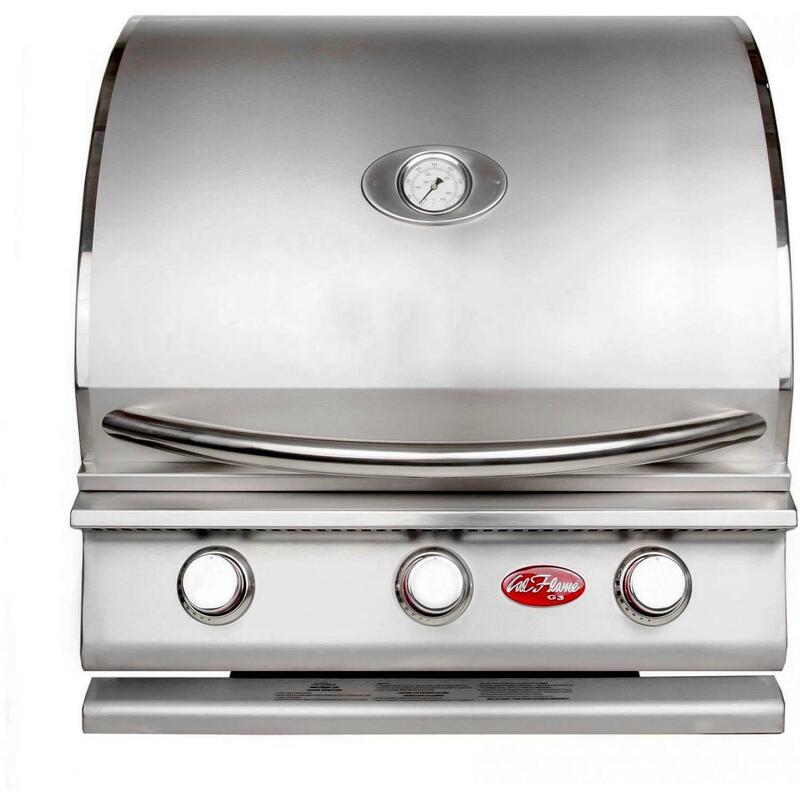 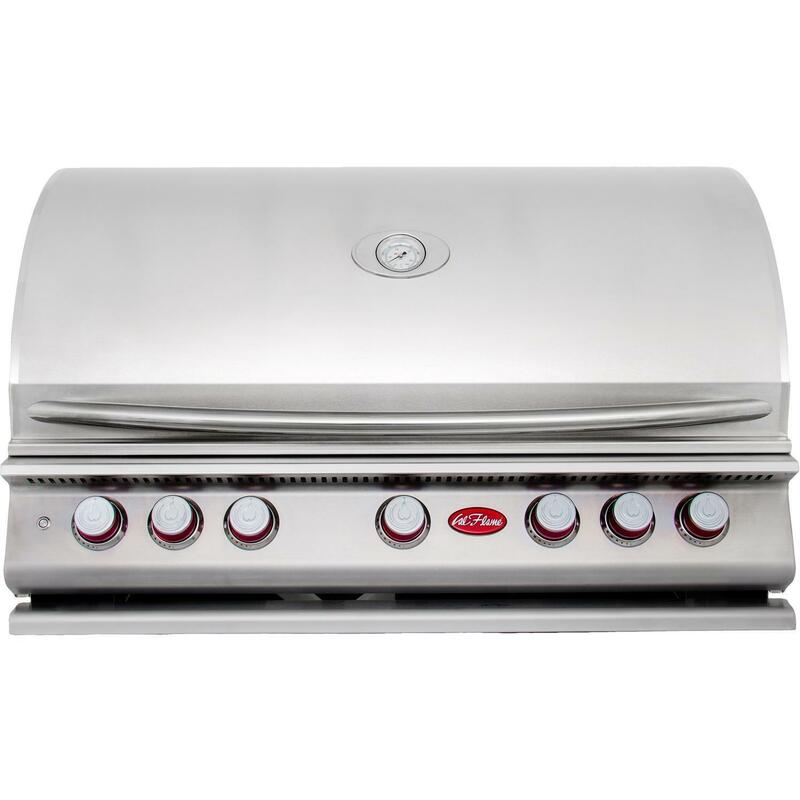 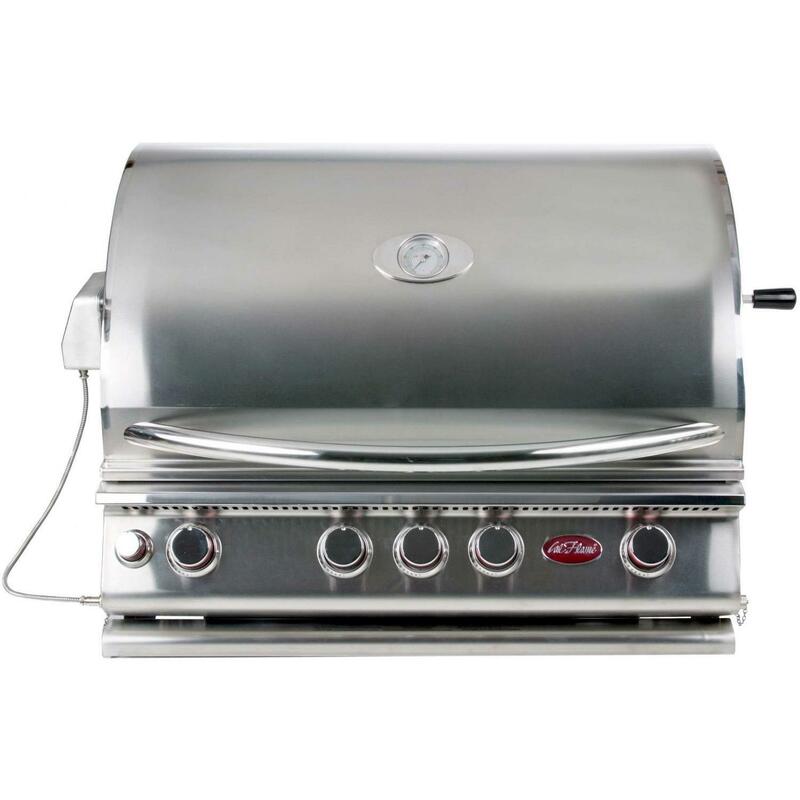 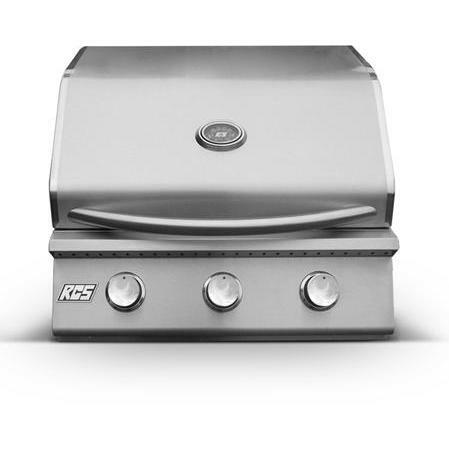 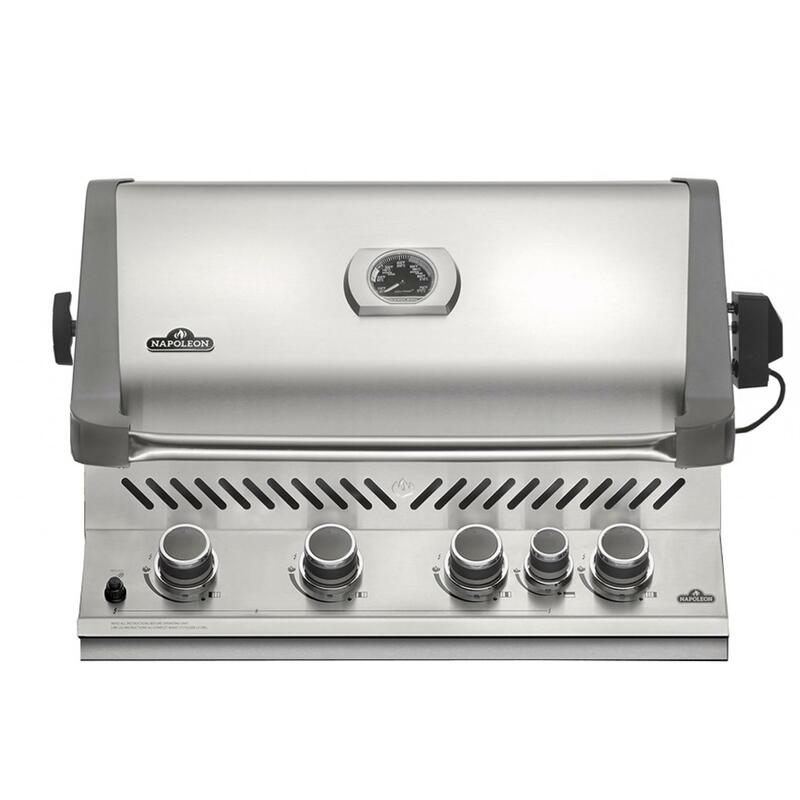 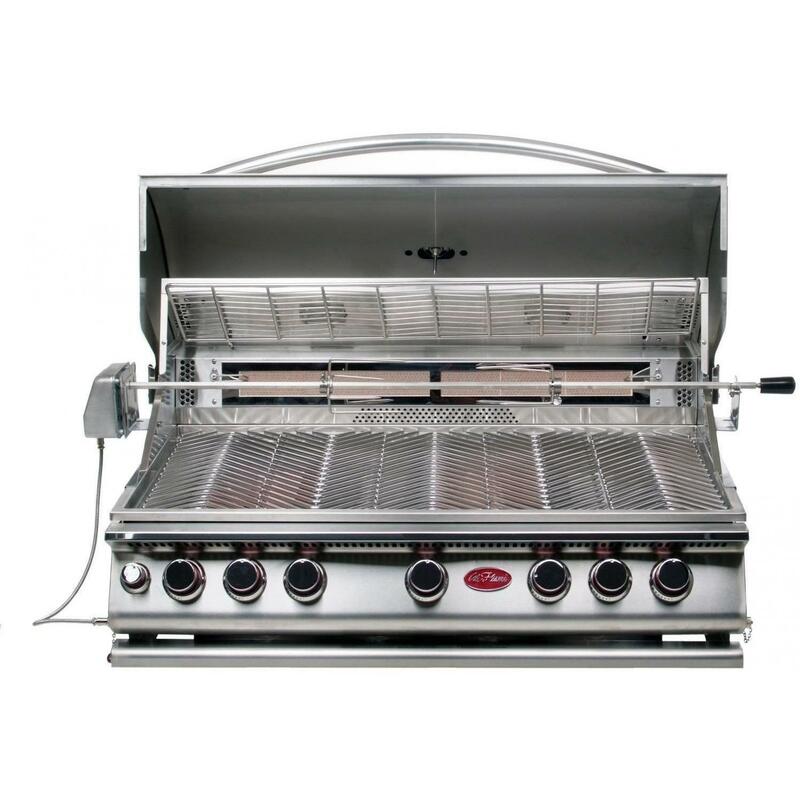 Product Description: Cal Flame G4 32-Inch 4-Burner Built-In Propane Gas BBQ Grill - BBQ08G04. 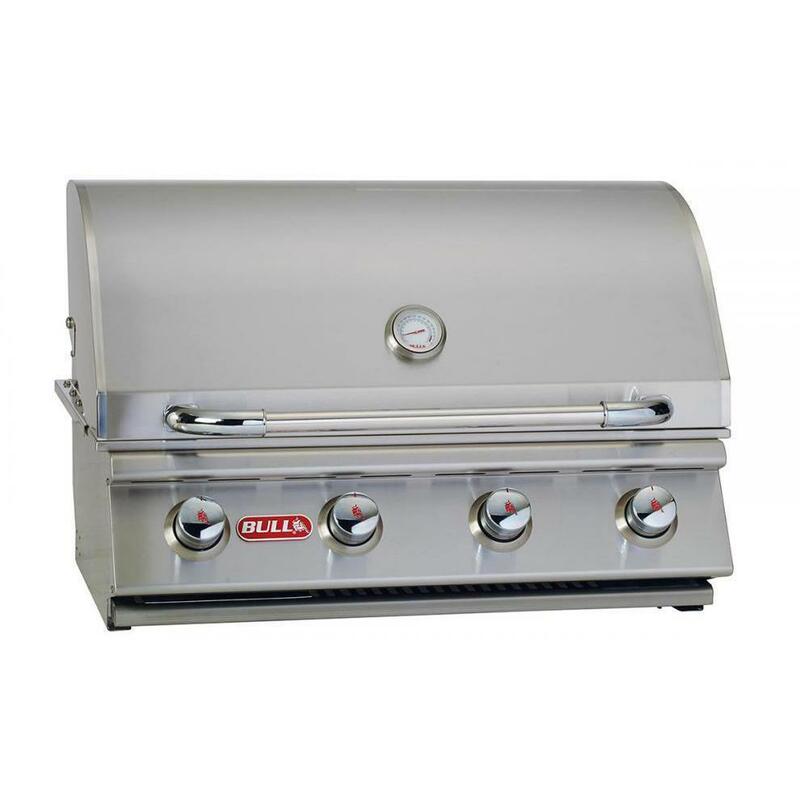 Take your grilling experience up a notch with the Cal Flame G4 propane gas grill. 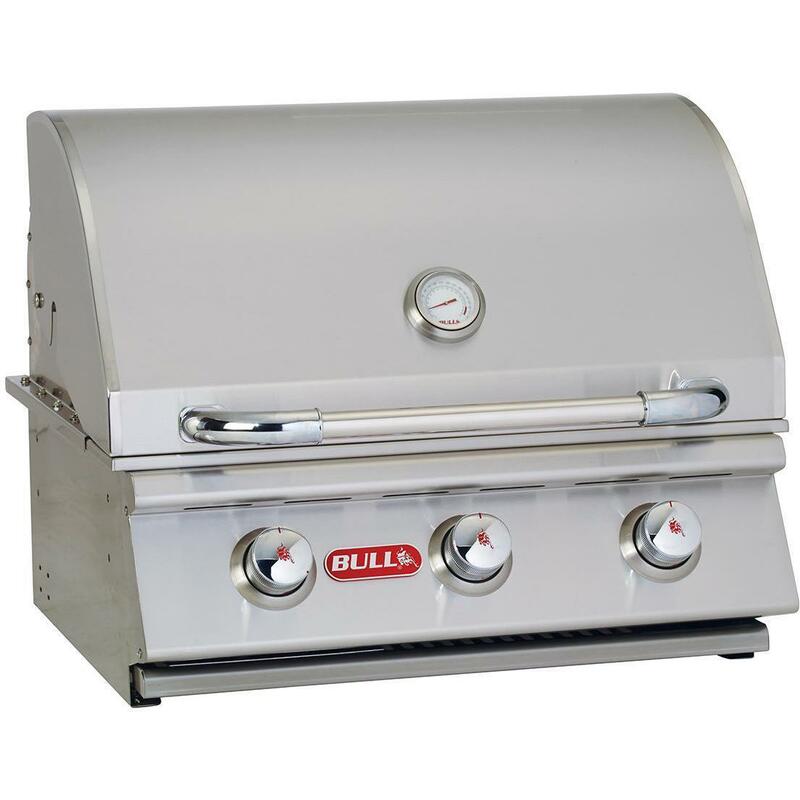 With four cast porcelain burners rated at 60,000 BTUs, 800 square-inches of cooking area, including the 2-position warming rack, and a built-in hood thermometer to easily monitor grilling temperature at all times. 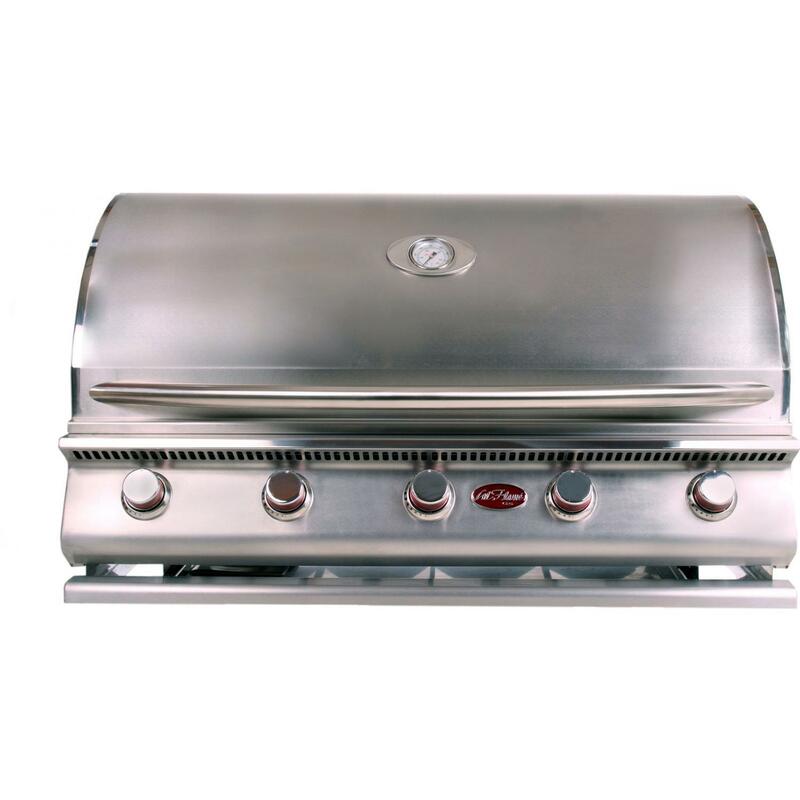 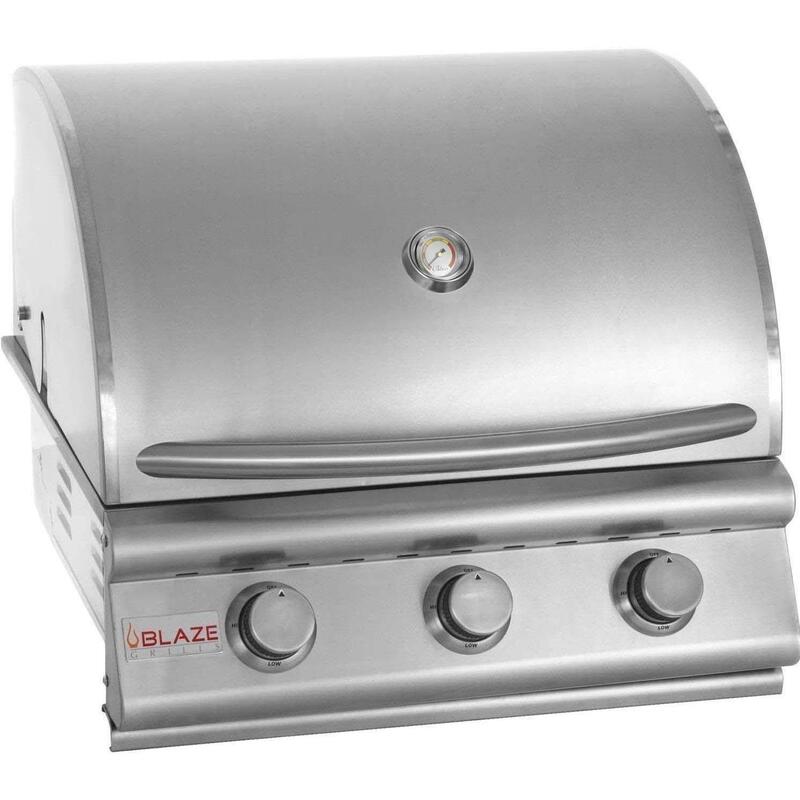 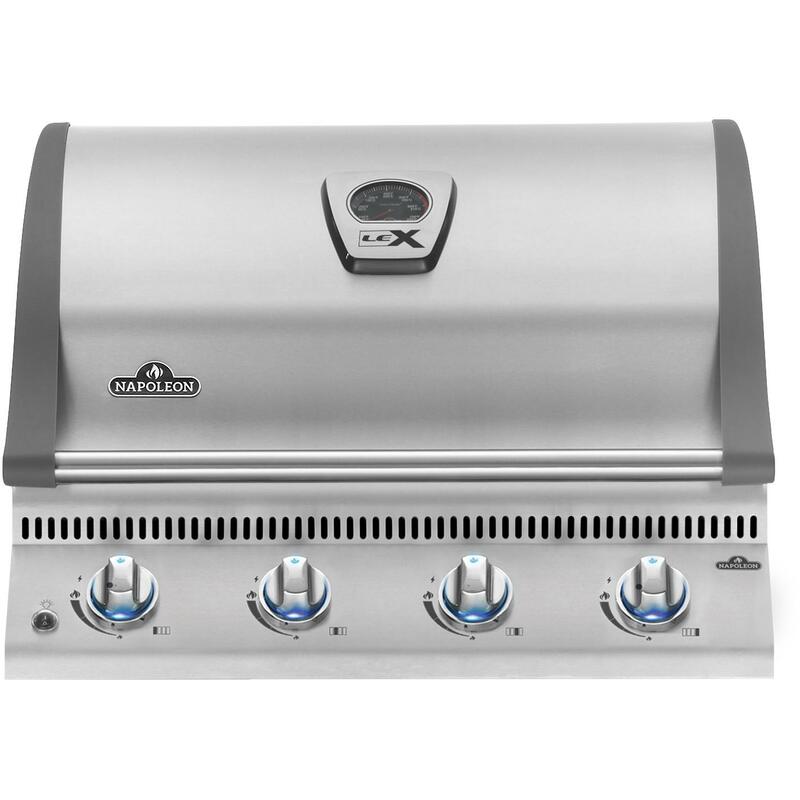 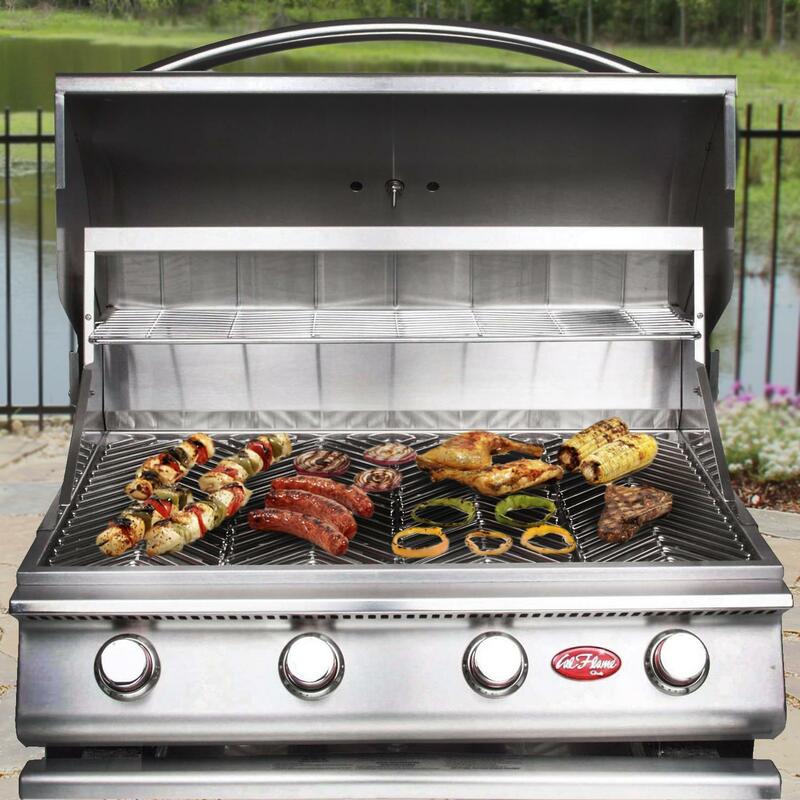 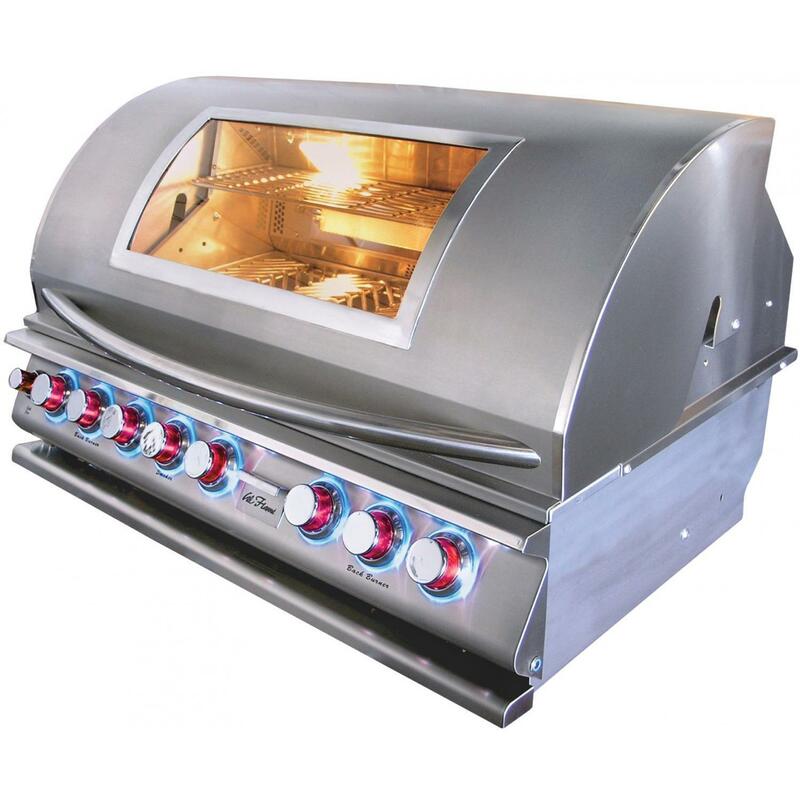 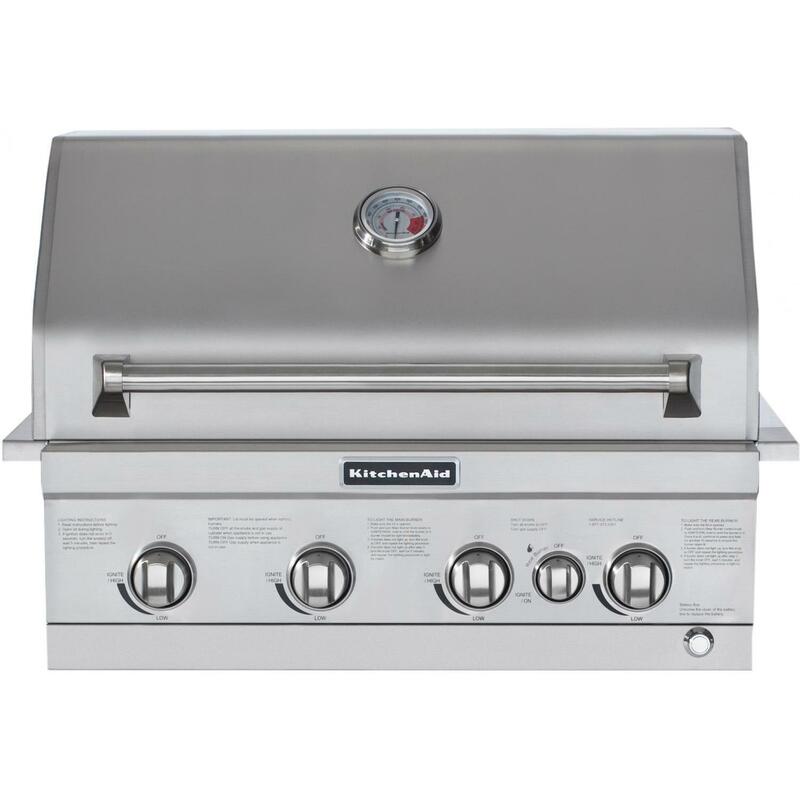 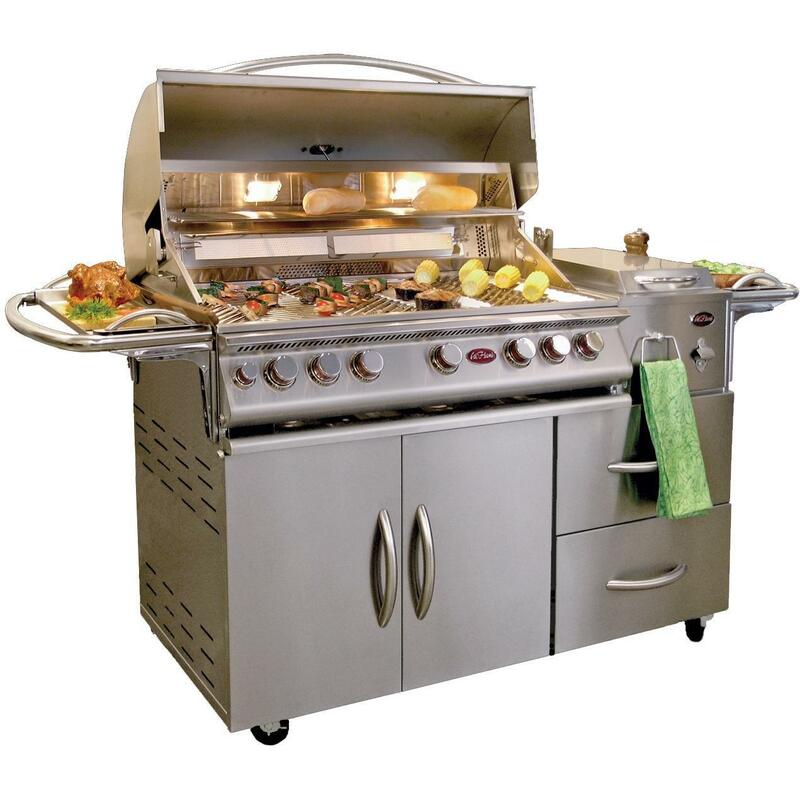 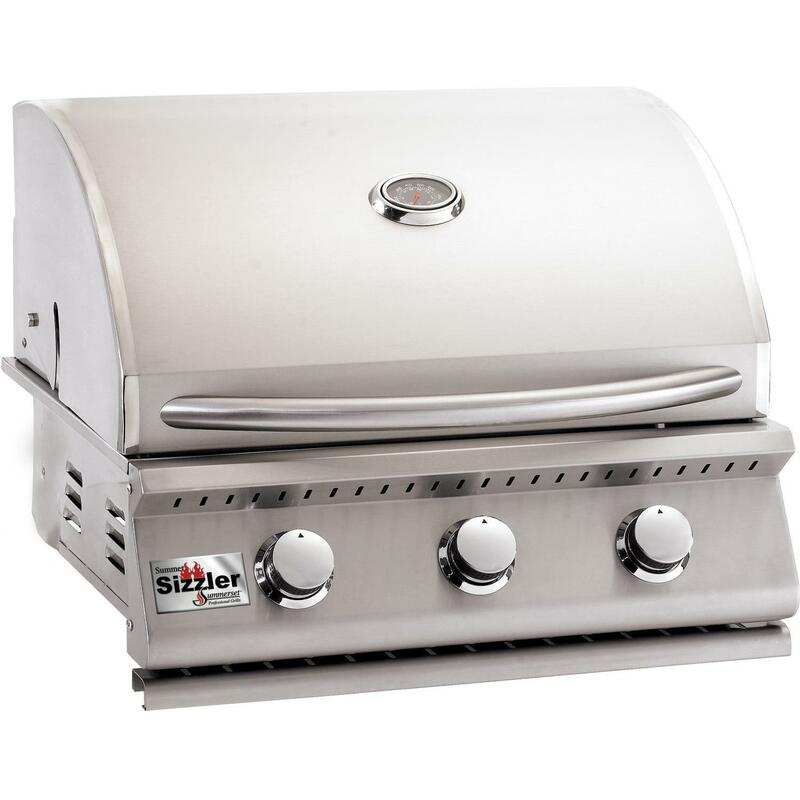 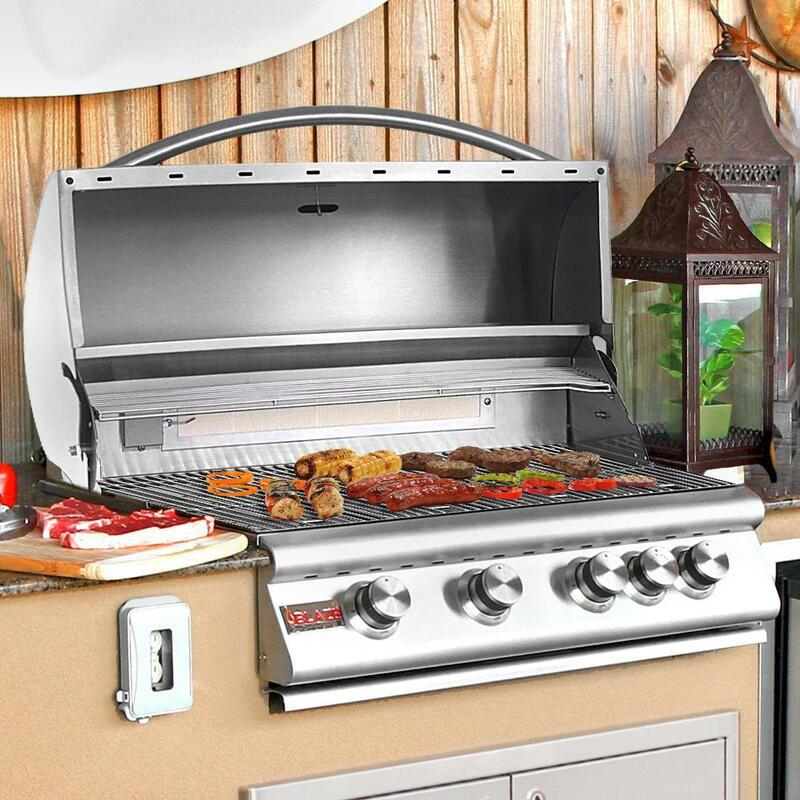 This grill also features the Cal Flame signature one-piece handle, 430 stainless stainless steel construction, and a full-width drip tray that catches every byproduct for easy clean-up.